Well it's a glorious day here but too cold to go out and as I received a new stamp in the post I thought it would be rude not to have a play. 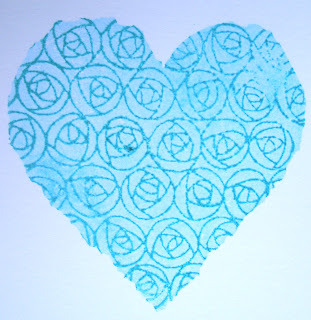 It's a torn edged Heart Palette Stamp from Oak House Studio and as you can see from the images it's a solid palette stamp designed especially for Kiss Stamping. It's great fun and loads of different looks can be achieved. For the first set of three I used the nice juicy Colour Chemistry Ink Pads - Powder Blue and Forest Green. Here the same Heart Palette has been kissed with the Mack Rose stamp inked with Forest Green. 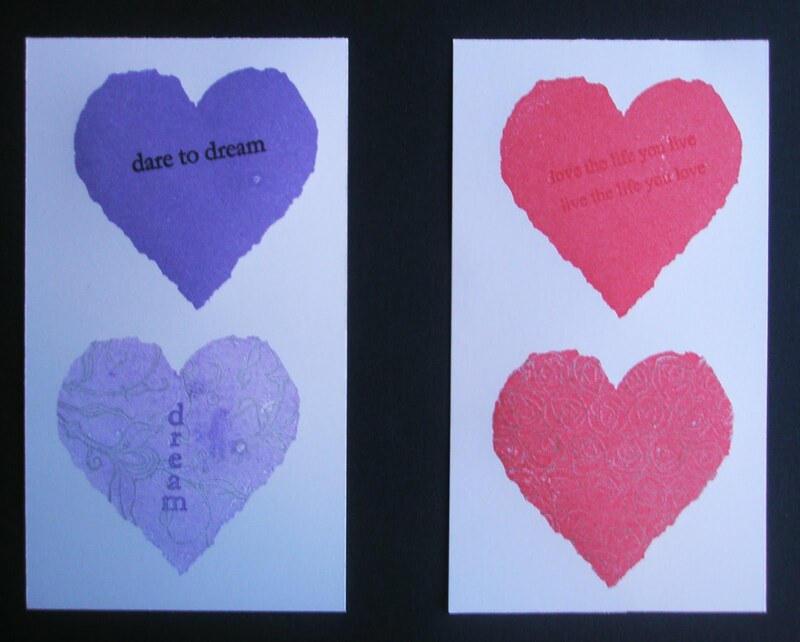 On the hearts below I've used Orchid with a silver Walesby Flourish stamp, and Valentine Red with a gold Mack Rose stamp, plus some Inspirational Words. 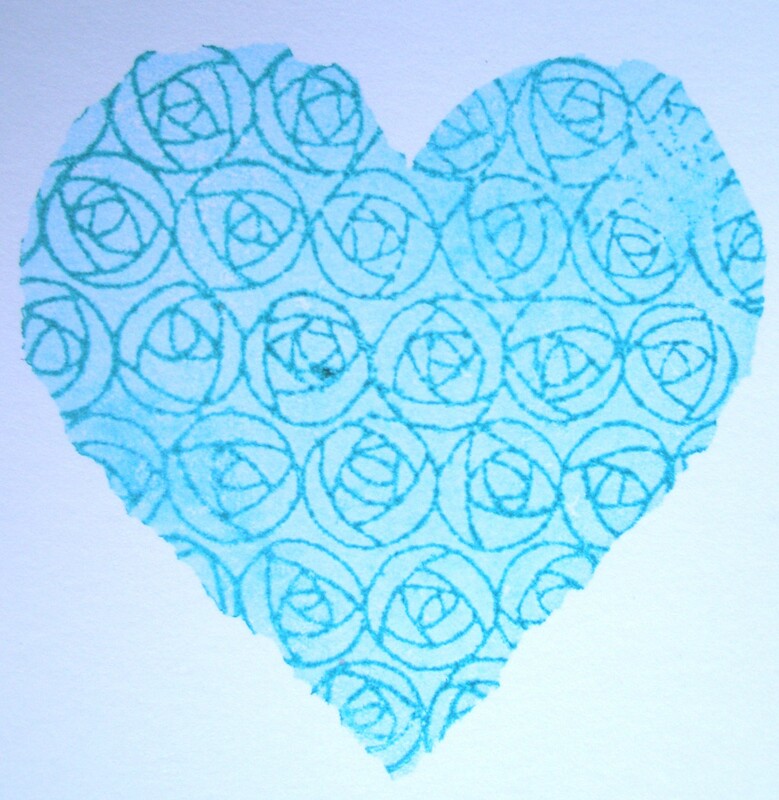 Really the possibilities are endless - it's just great fun to get your stamps out and keep stamping and inking. If you're interested in learning more, Lynnda is teaching a Kiss Stamping class at Bishop Burton on February 11th - check out www.vip-stamping.co.uk/workshop-dates for more details. What to do next to keep warm - well I'm thinking that heart would look good triple embossed with some glitter and micro beads added!! Brilliant Elaine, have you used stamping card?